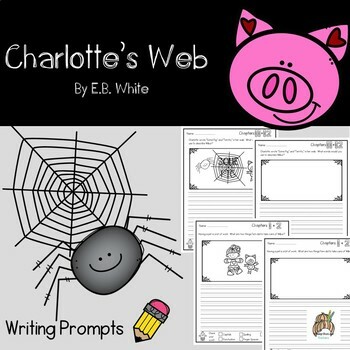 These writing prompts go along with Charlotte's Web by E.B. White. I love using this book as a read aloud to my first graders. With these writing prompts students can make connections between their life and the text. 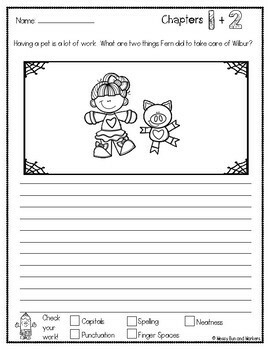 The prompts have a space to color a picture in, or draw your own picture. 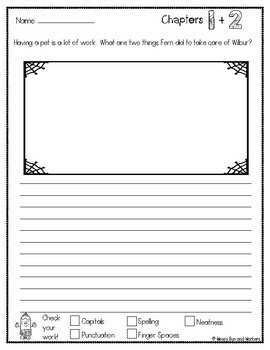 Can be printed as individual writing prompts or as a packet. There are 12 prompts in all, one prompt for every two chapters, and an ending prompt to continue the story. Each prompt also has a "Check your work!" section, which includes: Capitals, Punctuation, Spelling, Finger Spaces, and Neatness.